The Witches Lottery is the first book in the brand new Enchanted Island Series. It is a magical tale of one girls journey with destiny. When Sophia and Drew McGibbon's parents are killed in an apparent car accident, their world is thrown into turmoil. According to their parents will, the children are to go live with an aunt they have never met, and on an island they have never heard of. The young people are uprooted from all they have ever known to be whisked away to a world they could have only dreamed about in their imagination. Sophia has been having strange dreams and weird things seem to happen whenever she is around and its not until her 16th birthday that all the family secrets begin to unravel. 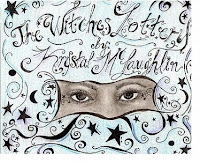 Sophia's aunt is the Keeper of the Island and everyone on the island has some kind of paranormal power, shape-shifters, leprechauns and evil warlocks abound in this coming of age story about one girls struggles to come to terms with who and what she is. Sophia meets many interesting people along her journey and she doesn't know who to trust as the story twists and turns and leaves you guessing until the end. I found the characters were well written and the series has many great possibilities to work with, especially with the new character types the author has created. I found Sophia charming and stubborn, and her magical power combination is one I look forward to watching unfold. I also found myself intrigued with the back characters and cannot wait to find out more about them, especially Gianna. The read is quite enjoyable and you will find after you start reading, you won't want to put the book down. Thank you so much Jennifer, for the wonderful review and I am looking forward to working with you in the future!